In this semester our whole-group gathering is held every Wednesday from 10.00am where talks are given by invited guests and lab-members, and different topics are discussed usually in Hungarian. Before joining these meetings, please contact Kriszta Szalisznyó. 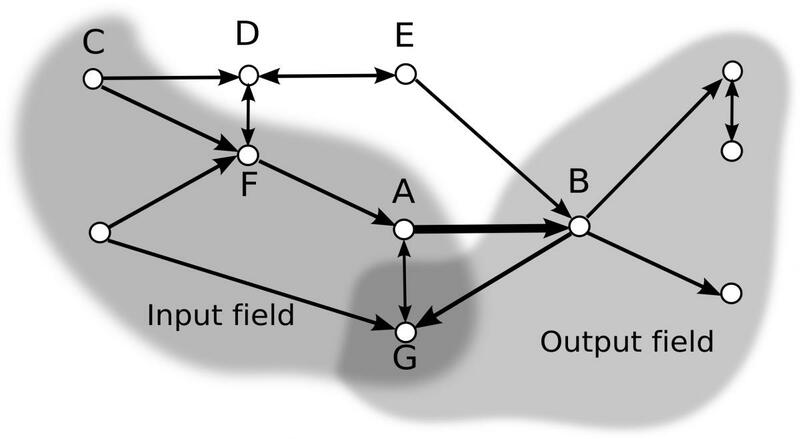 A connectionist type model is presented for explaining the development of the topographically ordered retinotectal connections of the visual system of the frog. The structure of a tectal column were taken into account inplicitly. Simulations suggest that the self-excitatory intracolumnar connections play an important role in the formation of the topography. A statistical theory of interacting neural fields, motivated by Ventriglia's kinetic theory is formulated. Lengyel M, Szatmáry Z, Érdi P.: Dynamically detuned oscillations account for the coupled rate and temporal code of place cell firing. Magyar nyelvű információk az EuResist projekttel kapcsolatban, nem szakemberek számára. The igraph library is a collection of functions for creating and manipulating graphs. It's main design goal is efficiency. It has started as an additional package to the GNU R statistical environment, but now most of its functionality is written in C and is available as a separate library.